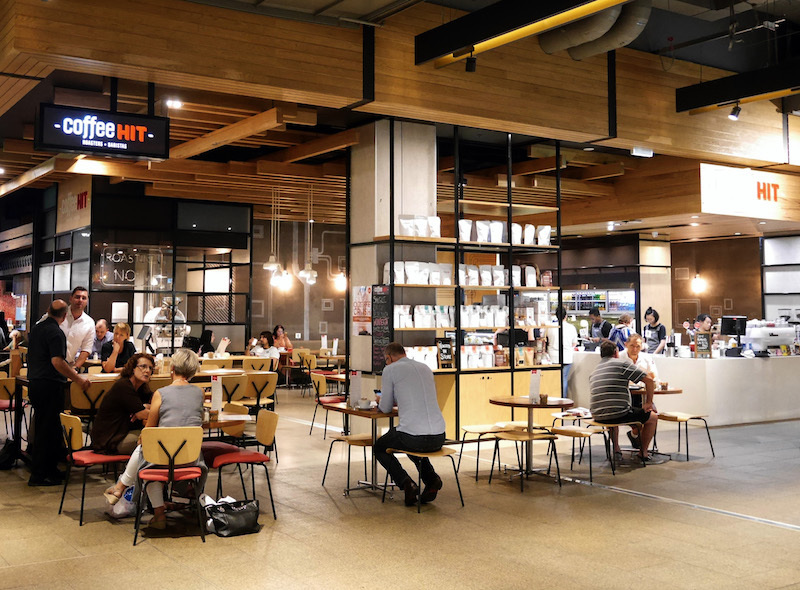 Coffee Hit Garden City is located at Westfield Garden City in Upper Mount Gravatt, Brisbane. Conveniently located on Level 1 in the Fresh Food precinct opposite Coles, we are open from 9am to ensure you’re ready to tackle the day. We are the only roastery cafe in the centre. In-store roasting is the key to our success, giving us ultimate control over quality and flavour and ensuring our coffee is always fresh. We source our specialty coffee direct from the farms at origin to offer you a range of blends and single origin coffees, available in take home bags too. To compliment our specialty coffee, we source local and regional fresh produce to deliver bespoke, seasonal offerings inspired and reflective of the latest food trends from Melbourne's specialty cafe culture. We offer all day breakfast, a variety of lunch offerings including salads, 100% grass fed beef burgers and steak sandwiches as well as plenty of convenient take and go options. Our menu also includes vegan, vegetarian, gluten free and kid friendly options. Westfield Garden City offers three hours free parking, and free all-day parking when you spend over $150 in the centre. Public transport is available by bus or train. By train, hop off at the Fruitgrove station or take the 150 bus.